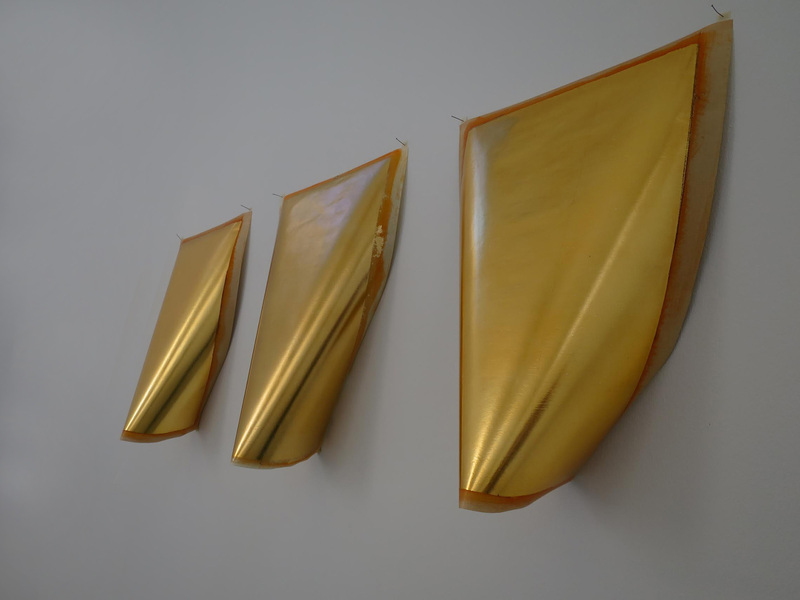 Hukuda is a sculptor who has been concerned with ‘identity of Japanese art’ by employing traditional Japanese crafts and painting techniques and materials such as gold leaf. In Japan, 99% of gold leaf is currently produced in Kanazawa. Johnston, on the other hand, is one of the leading Scottish geometric abstract artists of his generation, whose work is known for wall drawings including a large-scale ceiling drawing commission by Tate Britain in 2013. 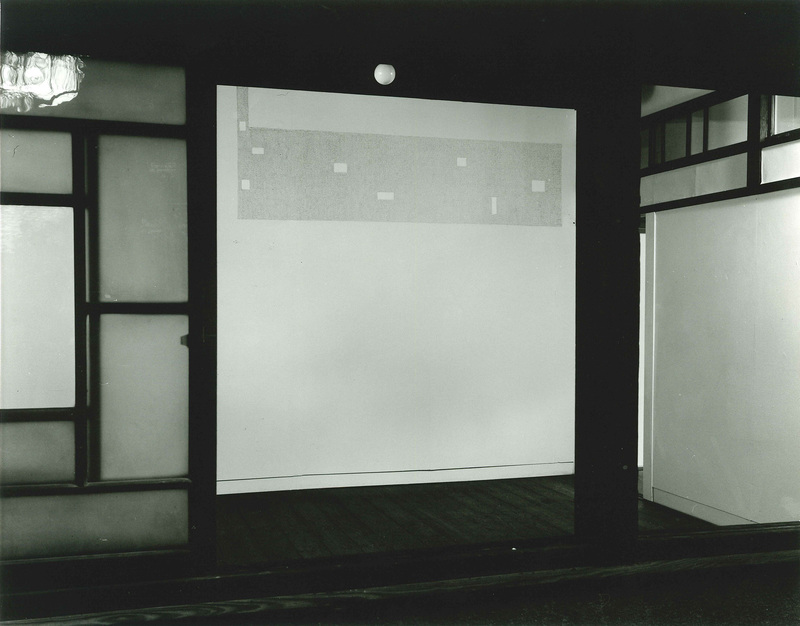 Entitled as In Praise of Shadows after a 1933-4 essay by Junichiro Tanizaki (1886-1965), this exhibition aims to set up a site-specific installation by the artists as their direct and artistic responses to the space of Suisei-Art in a Kanazawa Machiya. This part of Kanazawa’s architectural heritage, originally built in the pre-war period, still holds the shadow – and the dull, delicate light – that Tanizaki praised. They are, according to Tanizaki, one of the unique fundamentals within the Japanese sense of beauty and aesthetic – which, however, is now being lost under the glaring electric lights introduced by the West after the Meiji era. This attempt therefore aims to highlight the now-lost Japanese sensibility and aesthetic once again by focusing on the shadow and light of Tanizaki within a particular architectural environment – Kanazawa Machiya – through a contemporary approach, whilst paying respect towards Kanazawa’s history and tradition. To achieve this, a collection of Hukuda’s signature gold leaf-based thin, light paintings will be installed within the particular architectural environment of the historical venue. This will silently represent Tanizaki’s mentioning of the reflection of gold leaf in the Japanese room in his essay: ‘faint golden light cast into the enveloping darkness, like at the glow upon the horizon’. Also, a few bespoke drawings by Johnston will be realised on-site onto the venue’s large glass sliding doors/windows, as well as displaying a selection of small paintings. Since Johnston’s work consisting of a web of ‘almost invisible’ (as described by Charles Esche) pencil lines is often conceptualised as ‘drawing a shadow’, this will resonate with Tanizaki’s admiration towards shadows. 4) 15 May – 26 May 2018: Hukuda’s solo show at AIS Gallery in Shibukawa, Gunma. As an opening event, a public talk is planned. The artists and curator will be joined by a guest speaker, Prof Akitaka Kawakami, an Aesthetician and the Director of Kanazawa Yasue Gold Leaf Museum. As well as their exhibition and works, speakers will exchange their thoughts on the tradition and innovation of culture in Kanazawa and beyond. We are also planning to produce a limited edition bilingual (English-Japanese) publication. The publication will document the exhibition and event with the aim of introducing work by Hukuda and Johnston, as well as the culture in Kanazawa, to a much wider world thereafter. This project is supported by: Shibuya Foundation for Science, Culture and Sports; Hope Scott Trust; The Daiwa Anglo-Japanese Foundation; and THE ASAHI SHIMBUN FOUNDATION. 12 May 2018, 4pm-5pm. Free, no booking required. This entry was posted in Exhibition, Information, News, Project. Bookmark the permalink.